Alec Baldwin has welcomed son Rafael with his wife Hilaria. The former 30 Rock actor already has 21-month-old daughter Carmen with his wife of nearly three years. And on Wednesday the couple announced the arrival of their little boy. "We are happy to announce the birth of Rafael Thomas Baldwin (sic)," the couple wrote on their respective social media accounts. 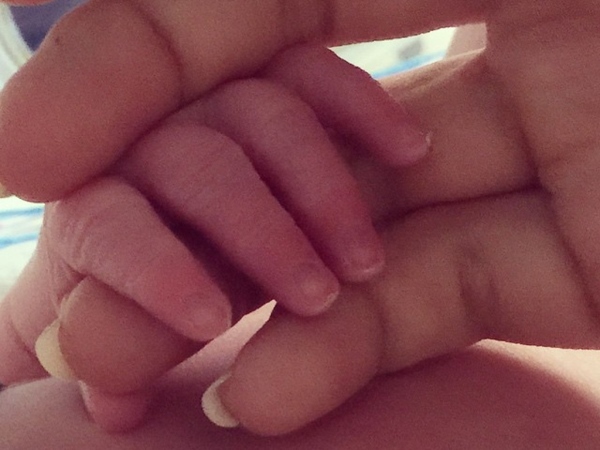 Hilaria also offered the first glimpse of the newborn with a picture of Rafael's tiny hand holding her finger. The couple announced they were expecting in January by posting a photograph on Instagram of Alec down on one knee while their little girl kissed her mother's growing bump. They confirmed they were expecting a boy soon after. It's no surprise that the couple posted their delight at the new arrival on social media, as Hilaria has been keeping her followers up to date on her progress throughout the pregnancy by posting a series of images of her continuing with her yoga. She also revealed she was experiencing different symptoms second time around. Alec also has 19-year-old daughter Ireland from his first marriage to actress Kim Basinger.